Jesse Maclean is concerned that the commercialism of the holidays has distracted his daughter from the real reason why Christmas is celebrated. He determines to tell his daughter a Christmas story. One that conveys the true meaning of the holiday. And he knows just the story. The year is 1968 and Jesse's father is serving a tour in Vietnam. Jesse and his mother are struggling to make ends meet. He gives little thought to the approaching holidays. That changes however, when he is befriended by Ardella Calder, an elderly customer on his paper route. During a visit, the woman shows Jesse her Christmas Tin. Inside it are gifts from her most memorable Christmases. As she tells Jesse the stories behind the gifts, he slowly comes around. But just when things are looking up, the Macleans receive a telegram with dire news about Jesse's father. It is during this time that Ardella tells Jesse a final story, a poignant, war time holiday story. A story to guide Jesse through his grief and show him that sometimes faith and hope can bring light to even the darkest of places. Log In to track Roderick J. Robison on eReaderIQ. 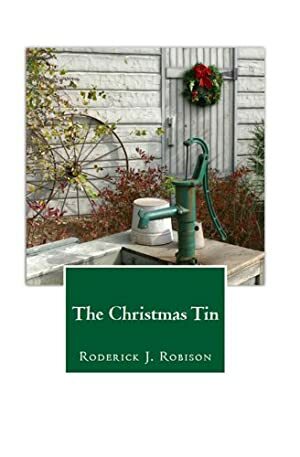 to be notified each time the price drops on any book by Roderick J. Robison. to stop tracking Roderick J. Robison. We started tracking this book on June 10, 2014. The price of this book has changed 44 times in the past 1,780 days. The highest price to date was $6.99 last reached on December 24, 2017. This book has been $6.99 7 times since we started tracking it.